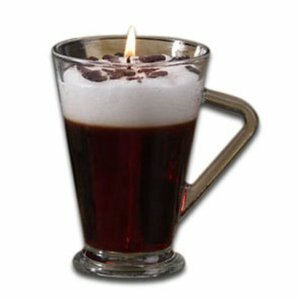 A really cool looking candle that resembles a real coffee drink. Comes in a clear glass cup, with different layers of coffee, milk foam, and chocolate dusting on top. A gel candle which will release a coffee scent when lit.